The mediastinum is the cavity that separates the lungs from the rest of the chest. It contains many important organs, such as heart, esophagus, trachea, thymus, aorta, fat, nerve and lymphatic tissue. 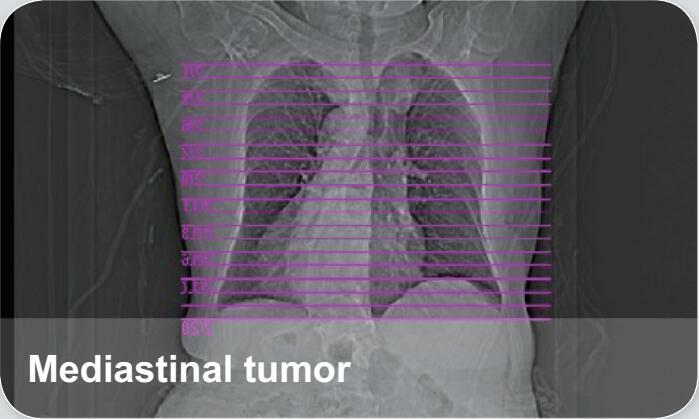 Mediastinal tumor refers to tumors caused by abnormal developmental or acquired cyst.